Martin Kobler, Head of MONUSCO, meets with ex-combatants in Bweremana (UN Photo/Sylvain Liechti). As we enter another critical year for the DRC, the UN peacekeeping mission in Congo (MONUSCO) is going to lose most of its political and military leadership, including its Special Representative (SRSG) Martin Kobler, its two Deputy SRSGs Abdallah Wafy and Moustapha Soumaré, and most likely its Force Commander Dos Santos Cruz. As election-related tensions are rising and operations against the FDLR rebels looming, changing the leadership of MONUSCO is going to make it more difficult for it to play a positive role for peace and development in 2015, especially since the momentum of 2013 and early 2014 has been lost. The first to leave the ship was Abdallah Wafy, Deputy Special Representative for Rule of Law and Operations in eastern Congo. He will assume the position of Ambassador of Niger to the UN. During his two and a half year tenure, General Wafy was a well-respected official on relatively good terms with the government. Charged with overseeing humanitarian affairs for MONUSCO, Moustapha Soumaré will leave for South Sudan this month to serve as the UN Deputy Special Representative for political affairs. Soumaré, who is Malian, has previously worked with missions in Liberia, Rwanda, Benin, Mali and at the UN secretariat in New York. Chief of mission Martin Kobler has recently been nominated as a candidate to replace Valerie Amos as head of the UN Office for the Coordination of Humanitarian Affairs (OCHA). While it is unlikely that he will get the position in light of unease from the humanitarian community about his role in ‘militarizing’ the MONUSCO mission, it is clear that he wants to get out in four or five months. Kobler is well respected inside the UN and having served in other hardship places such as Afghanistan and Iraq, may be eyeing a position in New York. Lastly, we should expect General Carlos Alberto Dos Santos Cruz of Brazil to leave this summer. He became the Force Commander of MONUSCO in May 2013 and with more than 40 years of military experience, including as Deputy Commander for Land Operations of the Brazilian army and as Force Commander for the UN mission in Haiti, he strikes many as an ambitious and committed commander, but one that is increasingly frustrated. In 2013, the Congolese government faced one of its most powerful adversaries, the rebel group M23. Allegedly supported by Rwanda and Uganda, the group had taken the bold step of occupying Goma in late 2012. Embarrassed that it had lost the provincial capital to the rebels, MONUSCO had to reassert is authority as the only ‘sheriff in town.’ After months of deliberations, the international community eventually agreed to send in a 3,000-men force – known as the Force Intervention Brigade (FIB) – to accompany the Congolese army into battle against the M23 and other armed groups. Coinciding with the arrival of the force, MONUSCO’s political and military leadership was reconfigured. With the new head of mission Martin Kobler and his Force Commander Dos Santos Cruz, a refreshing wind of change blew through the corridors of MONUSCO. They got to work immediately, eager to turn things around. Together with Deputy Special Representative Abdallah Wafy, MONUSCO had committed personnel ready to take charge and lead Blue Helmets into uncharted terrain. Within a few months, the leadership scored a number of important wins. Following the crushing defeat over M23 in late 2013, more than 4,000 combatants from other armed groups came out of the bush and surrendered. After 14 years of trial-and-error interventions in the Congo, there was reason for hope. The UN was back. And never before had the Congolese army shown such discipline and fighting spirit in the face of a very powerful adversary. The Congolese population, army and MONUSCO alike were euphoric. Riding out the momentum in early 2014, the leadership supported the army in taking on other armed groups, including the ADF, APCLS, and NDC, and relocated most of the mission from the west to the east. Following the defeat of M23, euphoria gradually gave way to reality. On the front line, problems began to emerge. While the international community hand-picked the FDLR as its next target, the army decided otherwise, drawing the mission into combat against the ADF while sidelining the mission in operational planning. While the operations were successful in dislodging the rebel bases, the group’s leadership remains intact. A series of machete attacks killing more than 300 hundred late last year underscore the continuing volatility of the Grand Nord. A month into fighting the ADF, the mission stumbled into yet another fight against the local defense group the APCLS. Unable to resist orders from the army and fully understand the context of the fighting, MONUSCO’s relationship with the local communities soured in light of these confrontations, with many feeling betrayed and insecure. The mission, however, presents the fight as a successful demonstration of the FIB. “If all you have is a hammer, everything looks like a nail,” a senior UN official admitted to me. Throughout 2014, it became evident that the Congolese government had no interest in actually seizing the opportunity to initiate a credible disarmament, demobilization, and reintegration program for the thousands of rebels that had surrendered following the demise of M23. Worse, it left more than a 100 men, women, and children to starve in make-shift camps later that year as reported by Human Rights Watch. On the political front, Kobler slowly lost much of his hard-won capital. In the summer of 2014, the government publicly scolded him for initiating roundtables with the Congolese opposition and months later expelled his human rights Chief Scott Campbell for reporting on abuse by the Congolese security forces. All the while, progress stalled in implementing the regional peace agreement known as Peace, Security and Cooperation Framework and is likely to lose further momentum in 2015 with the announced departure of the United States Special Envoy for the Great Lakes Region, Russ Feingold. Unable to deliver on its promise to focus on the FDLR, MONUSCO was then outmaneuvered by the very countries that contribute to the Force Intervention Brigade, particularly Tanzania and South Africa. It became increasingly clear that Africanizing a mission with soldiers from neighbouring countries might make for a better fighting force but comes with its own baggage of geopolitical interests. The Southern African Development Community – of which Tanzania and South Africa are part – was heavily involved in brokering a six-month reprise, a decision that didn’t just anger MONUSCO, but bore no substantive results. In stunning developments in early 2015, the Congolese government announced it would launch an assault on the FDLR based on a new military plan (after spending months deliberating over joint planning with MONUSCO). Surprised and even clueless, the mission initially struggled to get its hands on the new plan and contemplate its next move. Complicating matters, the Congolese army handpicked Generals Fall Sikabwe and Bruno Mandevu to lead the battle against the rebels. Blacklisted by the UN for serious human rights abuses, MONUSCO cannot partake in the operations unless they are removed. For weeks, the mission tried, via back-channel negotiations and public pressure, to persuade the government to remove the Generals, a plea that fell on deaf ears. On 15th February, President Kabila summoned twenty foreign ambassadors as well as Martin Kobler to reprimand them for interfering in what he believes are sovereign matters. Subsequently, the Congolese government rejected any support from the peacekeepers. Some analysts believe the Congolese government – unwilling to confront the FDLR in earnest – deliberately appointed these Generals to prevent any cooperation with MONUSCO. Operations are yet to commence. Despite the challenges of 2014 and 2015, Kobler, Cruz, and Wafy will be largely remembered for their positive track record. Much of what went wrong last year is out of their hands. MONUSCO does not have the political clout many might wish and without the buy-in of the Congolese government, there is only so much outsiders can achieve. And right know the Congolese government is consumed with politicking for a series of local, provincial and presidential elections. In many ways, it might be best for Kobler to leave. As important a force for change he has been to the mission, in the eyes of the government he is an over-ambitious figure. While one should be careful what one wishes for, a new SRSG – some suggest Leila Zerrougui of Algeria – might have a better chance at pursuing good offices and exerting positive influence in a country with another crisis in the making. 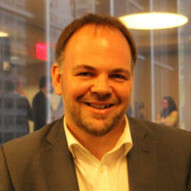 Timo Mueller is freelance researcher in eastern Congo.